Contemporary dance is a style of dance that has the power and technique of ballet, with freer expression and bold movements. It is a dance style created from a combination of classical, modern, and jazz styles. The technique in contemporary dance tends to combine the strong and controlled legwork of ballet with modern dance’s stress on the torso, and also employs contract-release, floor work, fall and recovery, and improvisation characteristic of modern dance. It has evolved into a massively popular style featuring in the latest music videos and renowned international dance competitions like ‘So You Think You Can Dance’. The rebellious form of contemporary dance has limitless possibilities where creativity comes first and traditional rules are often broken. It offers a sense of freedom connecting the mind and body through movement. 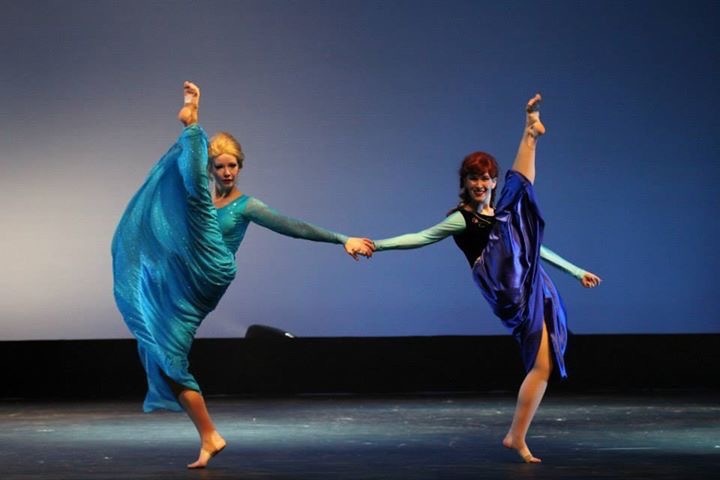 Panorama Dance has been teaching dance in Surrey for over 35 years. Our qualified, experienced and friendly staff make our contemporary dance classes an enjoyable experience for our students. In fact, a lot of the students cannot wait to come back to dance. Contemporary dance is offered to the more advanced students that have a solid ballet foundation. If you have questions regarding our contemporary dance program, or any other questions regarding our dance school feel free to call us at (604) 599-9351 (Ridge Studio) or (604) 599-4011 (Fleetwood Studio). Contemporary Dance fuses the techniques of Modern and Classical Ballet. It is a creative style of dance that has newer philosophies on movement and use of space. Using ballet technique, it creates interesting shapes and patterns on the stage. ** This is an advanced level and a strong base of ballet training is required. Placement is based on teachers recommendation. Contemporary Dance fuses the techniques of Modern and Classical Ballet. It is a creative style of dance that has newer philosophies on movement and use of space. Using ballet technique, it creates interesting shapes and patterns on the stage. A strong base of ballet training is required for Contemporary Dance so students must also be enrolled in graded ballet classes. *Great class for the new teen dancer* Contemporary Dance fuses the techniques of Modern and Classical Ballet. It is a creative style of dance that has newer philosophies on movement and use of space. Using ballet technique, it creates interesting shapes and patterns on the stage. ** This is an advanced level and a strong base of ballet training is required. Placement is based on teachers recommendation. Contemporary Dance fuses the techniques of Modern and Classical Ballet. It is a creative style of dance that has newer philosophies on movement and use of space. Using ballet technique, it creates interesting shapes and patterns on the stage.